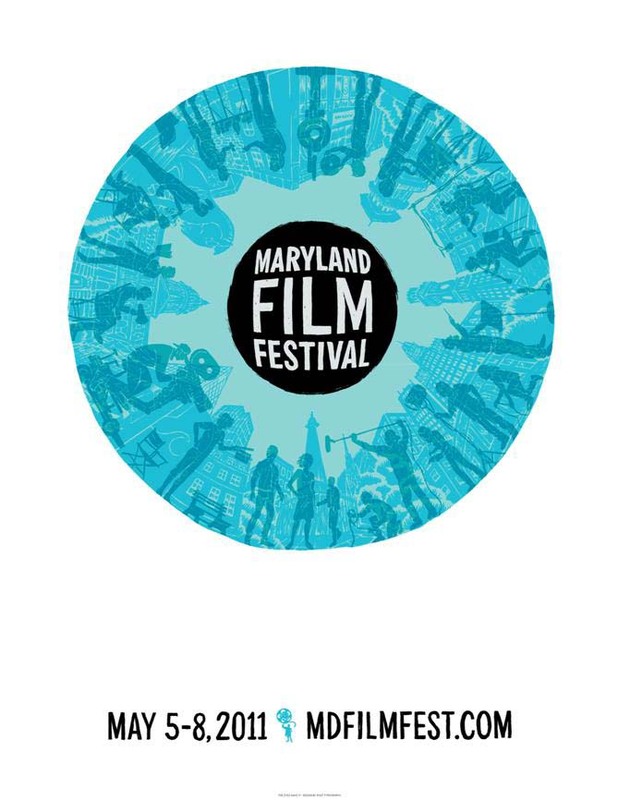 This post has been updated with the 2015 Maryland Film Festival poster, which was again designed by Post Typography. 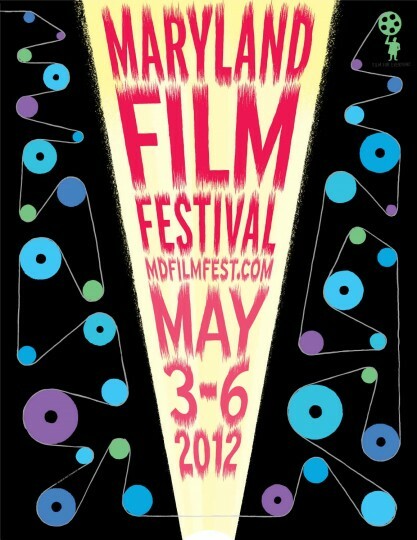 This year’s festival is May 6-10. 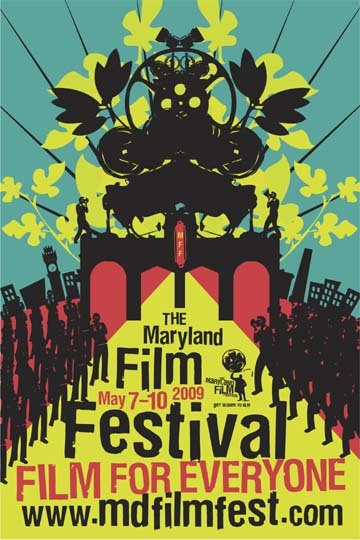 Originally published May 4, 2012: Before the lights go down and you settle in to watch your first film at the Maryland Film Festival, you’ve already seen them — the ubiquitous festival posters that pop up around Baltimore in the weeks leading up to the event. They’re “almost unavoidable,” says Bruce Willen of Post Typography, the Baltimore design studio that’s created the film festival posters the past two years. Willen, who heads Post Typography with longtime collaborator Nolen Strals, discussed the inspiration for this year’s poster, the design process and more in a Q&A with The Darkroom. But wait, there’s more! 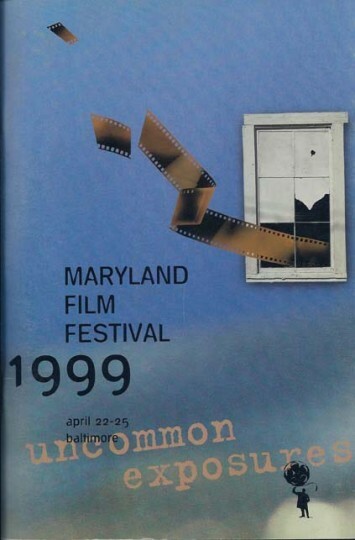 To celebrate the 14th annual festival, which kicked off Thursday night and runs through Sunday, and the familiar posters we associate with the event, here’s a gallery featuring artwork from all the previous festivals, 1999-2012. 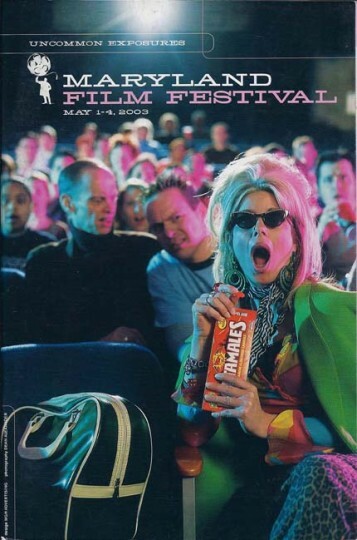 How many posters do you remember? Which are your favorites? Scroll down to read the Q&A with Post Typography’s Bruce Willen. Poster images courtesy of the Maryland Flim Festival. WHAT WAS YOUR INSPIRATION FOR THIS YEAR’S POSTER? WHO WORKED ON IT? BRUCE WILLEN: Well, Post Typography designed it, and the poster this year was actually illustrated by Nolen Strals. 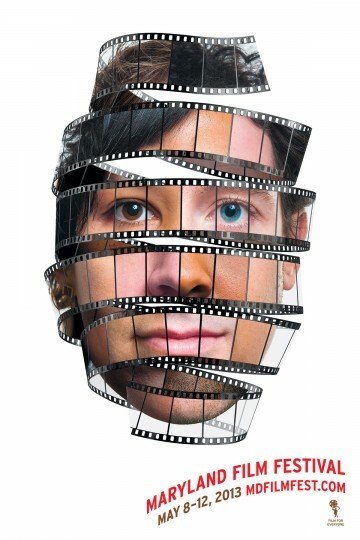 … So he’s the one who’s the main force behind the poster. We designed the poster last year as well, with this kind of abstract, giant eyeball shape on it, and for this year, I think we wanted to continue a similar illustration style –- that flat, very graphic look, bright colors, [and] have the composition be intense and eye-catching. The design this year was inspired by the actual media of film itself and the experience of sitting in the theater and having this film be projected in front of you, so the poster takes the form of this very loosely abstracted film projector … so there’s this bright beam of light in the center, through which the title of the festival is projected and then wrapping around is this super-complex mechanism of all these brightly colored circles that represent spools as the film goes through the projector. 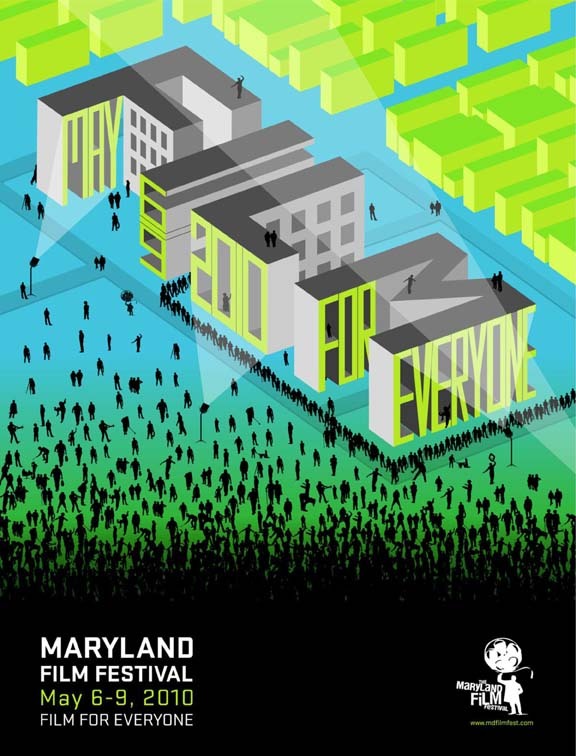 WHAT’S YOUR PHILOSOPHY AND APPROACH WHEN YOU’RE DOING A POSTER IN GENERAL? HOW’S THAT DIFFERENT IN TERMS OF THE DESIGN PROCESS? BRUCE WILLEN: I feel like for us the design process is usually pretty similar no matter what kind of project we’re working on, whether it’s a website or a book cover or a poster. We try to get a sense of the overall goal of the project. If it’s a book, obviously, what are the major themes of the book, the major ideas that are being represented. 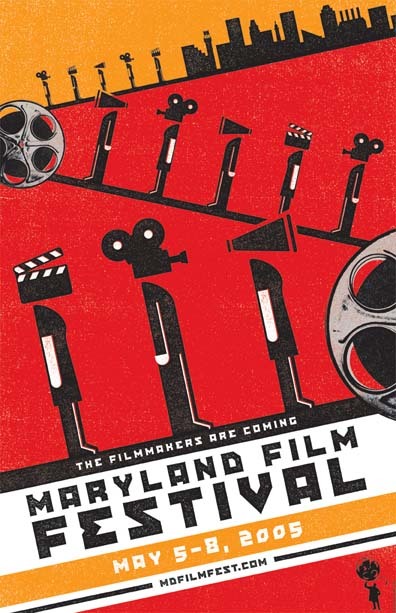 With the film fest poster, we talked with the film festival, and got a sense of what they want to convey with the Maryland Film Festival. Their philosophy … they have this phrase “films for everyone” that kind of sums up what they’re trying to do with the festival. 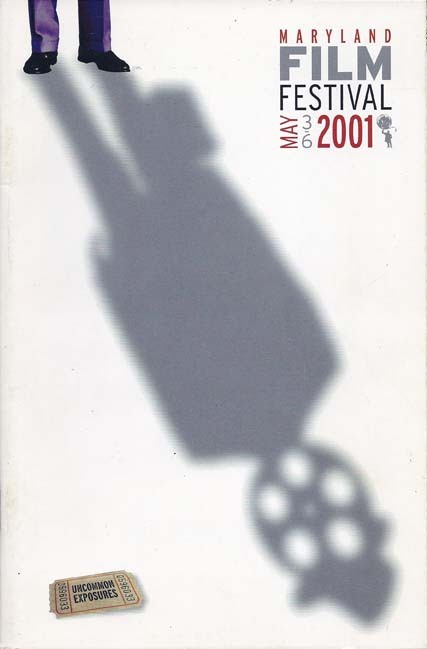 There are sort of weirder, artier, more experimental movies, but then there are also documentaries, and film that’s going to have more mass appeal, that’s all still good. 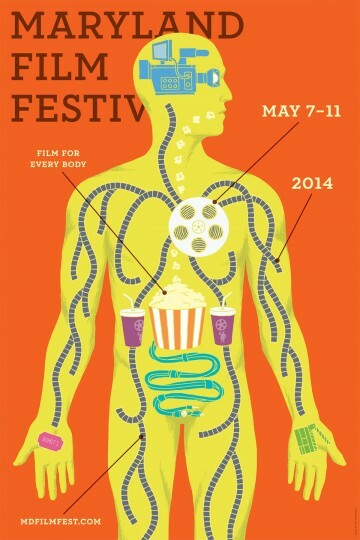 There’s kind of something for everyone at the festival. With the design, we wanted to keep it in this abstract realm that could encompass that but still convey the idea that the festival’s really fun and exciting and dynamic. We obviously really enjoy the festival. It’s fun for us to go and see all the films and see are work up. DOES THE FESTIVAL GIVE YOU ANY GUIDANCE OR THINGS TO CONSIDER? CAN YOU TALK A LITTLE BIT MORE ABOUT THE PROCESS OF WORKING WITH THEM? 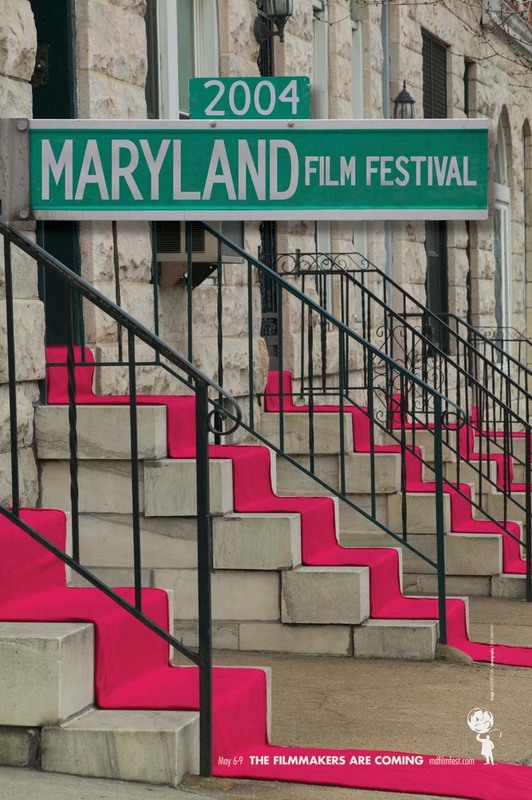 BRUCE WILLEN: They’re pretty open to what we’re coming up with, as long as it conveys this broader spirit of the festival — the sense of fun and community. Not something that’s too high brow, but not something that’s too low brow, either. I WAS LOOKING AROUND ON YOUR SITE, AND SAW YOUR WORK FOR TIME MAGAZINE IN FEBRUARY (CUSTOM LETTERING ON THE “LIL’ KIM” COVER, FEATURING NORTH KOREA’S KIM JONG UN). [FOR THAT PROJECT], YOU PRODUCED ALL THESE DIFFERENT VARIATIONS AND YOU SHOWED SOME THAT DIDN’T MAKE THE CUT, AND I ASSUME THAT’S PART OF YOUR TYPICAL DESIGN PROCESS. 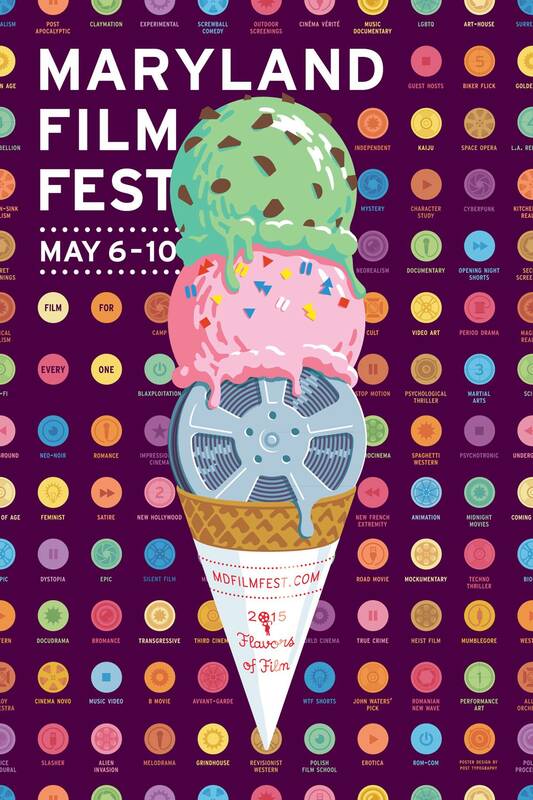 DO YOU COME TO THE FESTIVAL WITH SEVERAL DIFFERENT VERSIONS OF THE POSTER OR JUST THE ONE YOU LIKE THE MOST? HOW DOES THAT WORK? 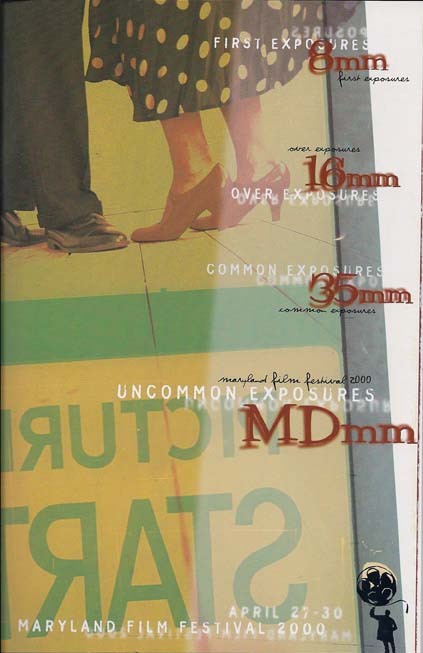 BRUCE WILLEN: We typically present three or four different directions, when we do the design for them. They’re all usually pretty different. Some of the ones this year that we presented were more photographic in nature, had more dimensional quality. This one tied in more, as far as the visual style goes, with the design from last year. HOW MANY VERSIONS OF THE FINAL DESIGN DO YOU HAVE TO SUPPLY TO THE FESTIVAL? BRUCE WILLEN: (Laughs). Quite a few. With a big event like the film festival, they produce banners, posters, yard signs, postcards … hats, T-shirts, water bottles. I don’t know an exact count of all the different versions of the design we made, but there are quite a few (laughs). The poster and the yard signs are obviously what people probably see the most, but in a way that’s just the tip of the iceberg. CAN YOU GIVE US AN OVERVIEW OF POST TYPOGRAPHY AND THE TYPES OF PROJECTS YOU WORK ON? BRUCE WILLEN: We’re a small studio — there’s actually four of us here. We try to be a multi-disciplinary design studio. Obviously we do a lot of work that’s graphic design oriented, but as you saw on our website, we do quite a bit of editorial illustration as well, things that could fall into the realm of what an ad agency might do. 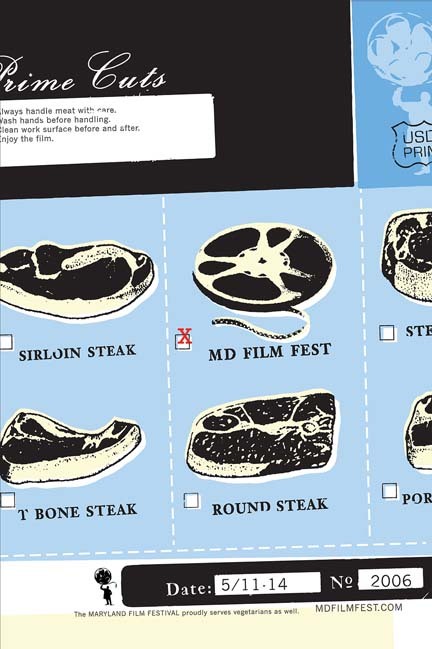 We’ve done some pretty large-scale advertising and branding campaigns, down to things like doing maps and infographics … some motion graphics, a few film titles, T-shirts. We pretty much like to keep our options open. If a project comes along that may not be something we’ve done previous types of work on in the past, we feel like we’re still pretty capable of handling it. 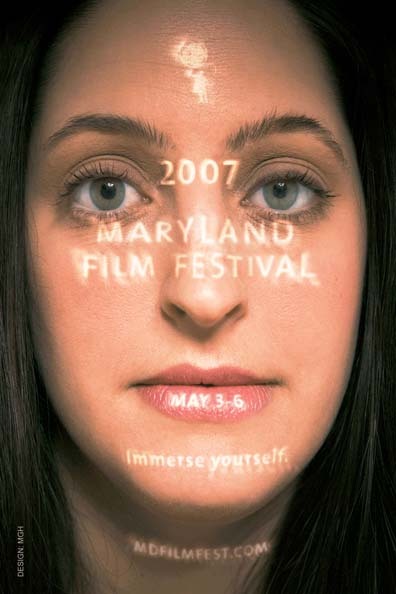 DID YOU GUYS LOOK AT THE OLDER POSTERS WHEN YOU DID YOUR FIRST MARYLAND FILM FESTIVAL POSTER IN 2011? BRUCE WILLEN: No, not really. … With projects, when we’ve done stuff in previous years, we usually try to approach it fresh every time. Just to give ourselves the creative freedom to come up with something new, so we don’t always get stuck doing the same thing every time. So I think the previous posters weren’t really a factor for us. YOU SAID YOU GUYS ATTEND THE FESTIVAL AND ARE BIG FANS OF IT. 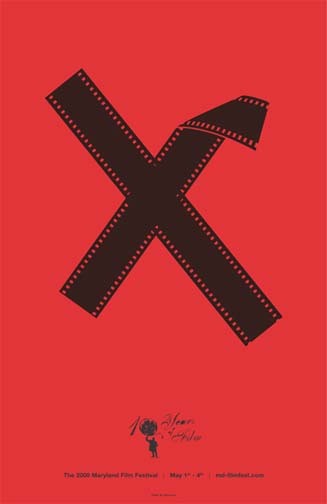 ARE YOU BIG MOVIE FANS? IS THERE SOMETHING IN PARTICULAR YOU’RE LOOKING FORWARD TO WITH THIS YEAR’S FESTIVAL? OK. SO THIS MAY BE A CHEESY QUESTION. … OBVIOUSLY YOU GUYS DO A RANGE OF DIFFERENT PROJECTS, BUT IS THIS ONE THAT STANDS OUT, TO SEE YOUR WORK ALL AROUND TOWN LEADING UP TO THE FESTIVAL? BRUCE WILLEN: No, that’s a good question. 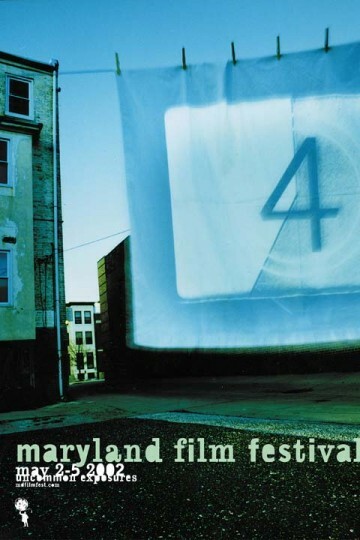 … I really have fun with the Maryland Film Festival, because they do such an amazing job of promoting the event, that you really can almost be anywhere in Baltimore and see the poster or the yard sign or something. This week it’s been almost unavoidable. I feel like every few blocks, I see it. And certain places, it’s like 10 or 20 places on the block. So that’s actually really cool. The power of repetition, and seeing the work out there in the real world — especially because a lot of projects we do for clients in other cities or sometimes even other countries, we might not see the actual project in “the wild,” we might get a copy of it in the mail or see a picture of it — but seeing it in real life, that’s a pretty awesome feeling.